We’ve not been sitting around burning wood all winter, oh no not at all. There is so much to do once we wave a sad goodbye to our final guests of the season. 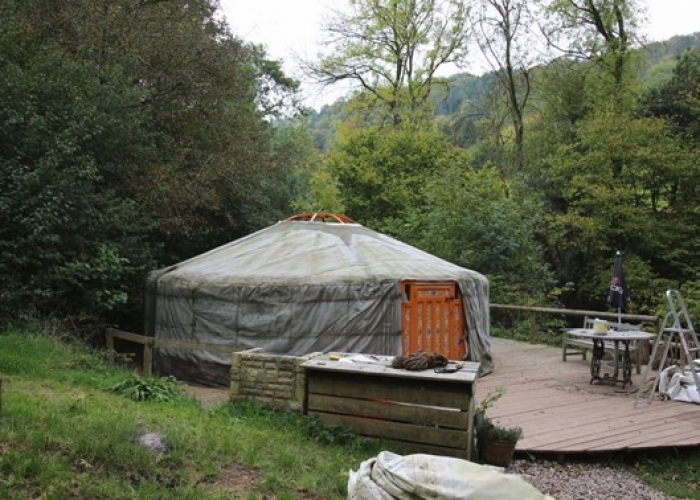 First the entire site has to be cleaned; the yurts have to be emptied of their furniture and furnishings. 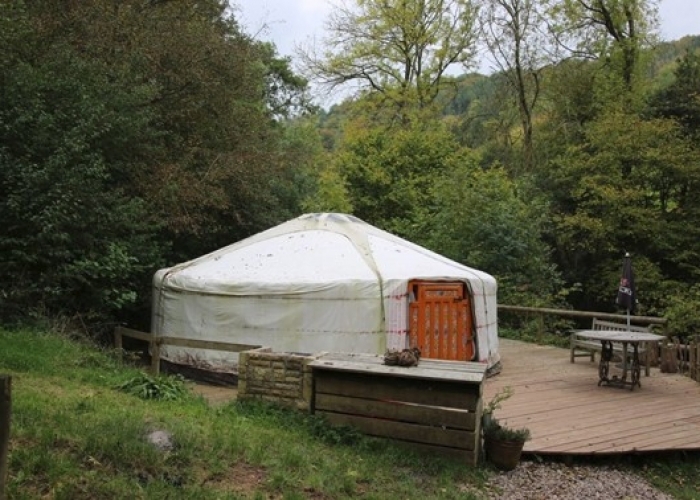 Then each yurt is dismantled and everything is put in to storage for the winter. 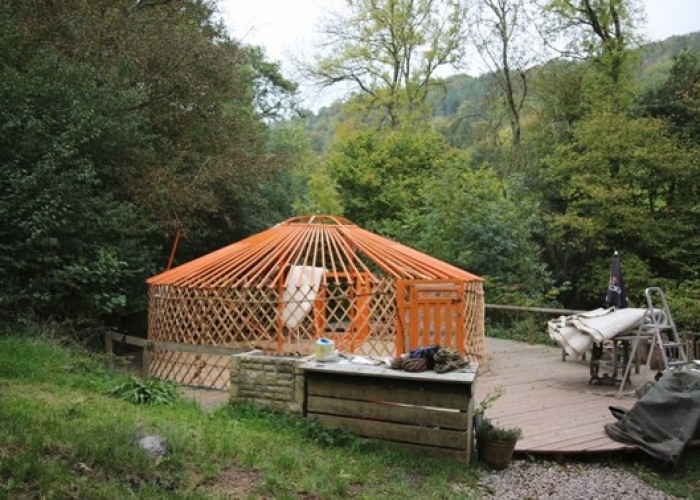 See the photos below to see one of the yurts being dismantled! Once all that has been done then the work really begins. 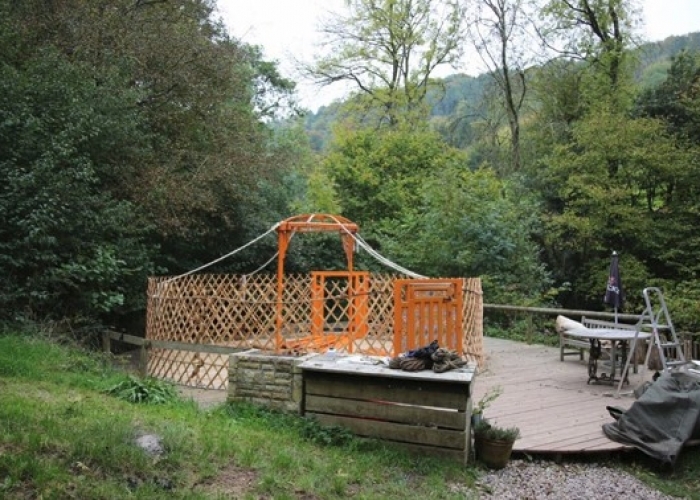 Anyone that has stayed at Hidden Valley Yurts will notice there have been a few changes right away. 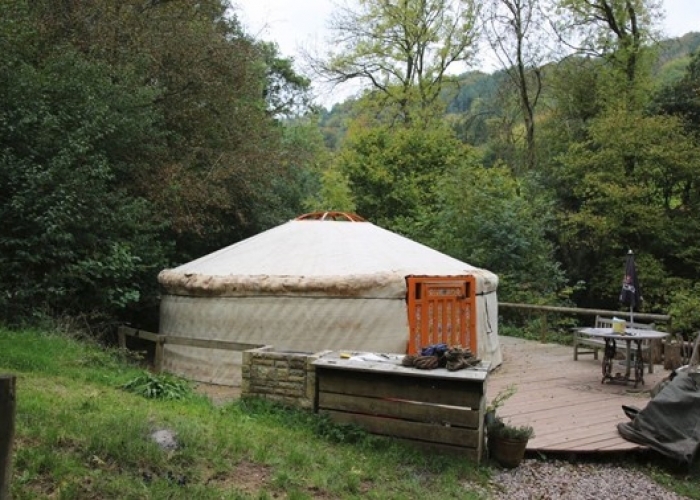 Each yurt has had a new cover designed and made. 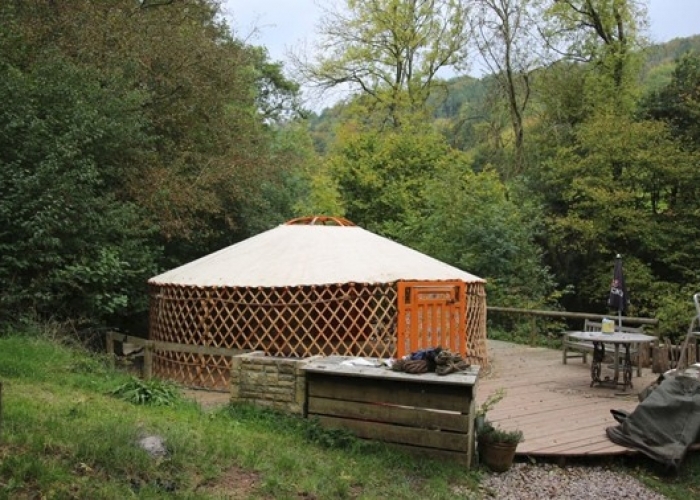 So each yurt will now be olive green, which will help the yurts blend into the stunning Welsh countryside. 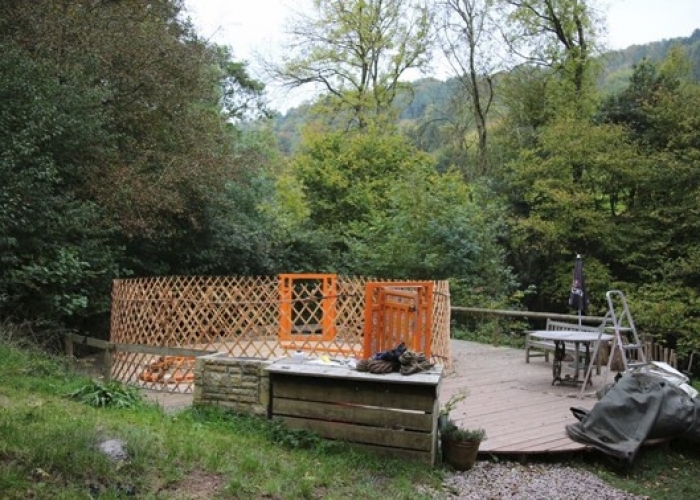 A new deck for Yurt 3 is now in place and we will be replacing all the decks over the next few years. There will also be the opportunity to help yourselves to the freshest eggs possible, as there is now a chicken run on the site. We are now in the final run up to the start of the 2016 holiday season and the clock is ticking. 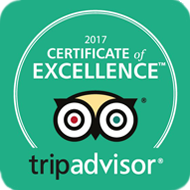 Our first guests are all ready booked in and will start arriving on the 25th of March. 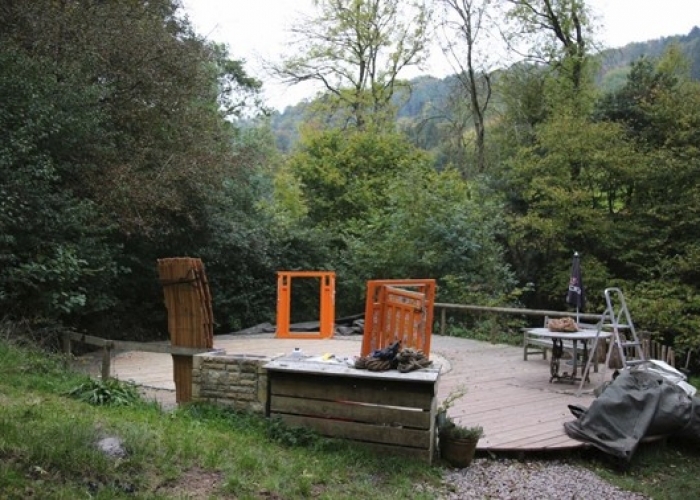 So now it’s back to sanding down and oiling the deck furniture, pressure washing the decks, putting up the yurts and making sure all those little details that make Hidden Valley Yurts such a wonderful place are done.